Pica Pica Avianvet 1 kg is a complemeto food antipicaje to add to the pasta de cria, avoiding the rearing and the cannibalism between ejempalres. Pica Pica Avianvet is a supplement antipicaje to add to the pasta-breeding moult of the bird cage such as canaries, goldfinches, greenfinches, lovebirds and small psitácidas, gouldian finches, as well as birds insectivoras. Pica Pica Avianvet, prevents the rearing due to deficiencies in the broodstock to the chicks. Pica Pica Avianvet Prevents the rearing and cannibalism in the birds. Pica Pica Avianvet contains choline chloride, l-carnitine, niacin, methionine, lysine, trace elements and mineral salts. Composition: calcium Carbonate; dicalcium Phosphate; sodium Chloride; magnesium Oxide. Vitamin A; Vitamin D3; Vitamin B1; Vitamin B2; Vitamin B6; Vitamin B12; Vitamin C; Vitamin E; Vitamin K3; choline Chloride; DL-Carnitine hydrochloride; Niacin; Pantoneato calcium. Administration at a dose of 10g of PICA PICA Avianvet per kilo of pasta or food for 7-12 days in cases of the beginning of rearing. In cases of rearing serious manage up to 20 gr/kilo of pasta or food to 12-15 days. It can be mixed with grit conchilla of oysters at a dose of 5gr/kg during the entire move. Administer at a dose of 10g/kg of food or pasta, 2 days per week for maintenance. 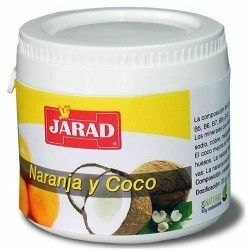 It is recommended to reduce the number of individuals per cage/voladera and apply bath daily with bath salts and improve the environmental enrichment. Contains Vitamins, Amino acids, Trace elements and Ginseng. It is presented in powder water soluble to improve the conservation of the 42 active principles of which it is composed. Manitoba Albume 600 gr, (pure Protein of egg is 78%). 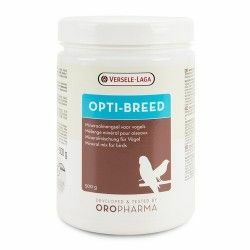 Food supplement based on egg-white - Based compound of Albumin (egg white) powder of high protein value.- It also contains mineral salts (magnesium, sodium and potassium) and carbohydrates.- It increases the protein content in birds up to 5%.- Prevents the occurrence of the effect "Doré"
Protein supplement, vitamins and minerals. Without carotenoid. 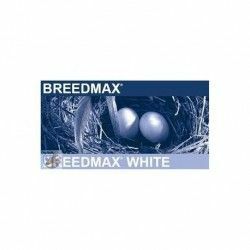 Breedmax is a dietary supplement created especially for white plumage. Its consumption produces no effect doré. For tropical birds, birds of song and adorno european, exotic, pigeons, and canaries. Provides an excellent growth and optimal health to the young birds. 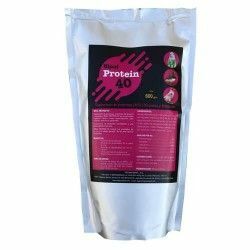 Protein supplement, vitamins and minerals. Without carotenoid. 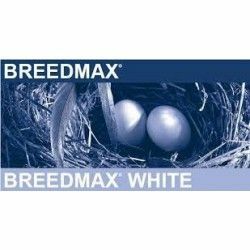 Breedmax is a dietary supplement created especially for white plumage. Consumption noproduce effect doré. For tropical birds, birds of song and adorno european, exotic, pigeons, and canaries. 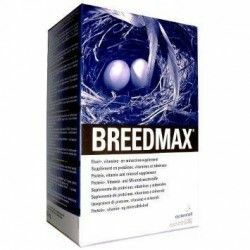 Provides an excellent growth and optimal health to the young birds. Curol Eat, the oil of healing, it is a oil of health composition, an antiseptic that helps the immune system of the birds. Aromatics that actively work to prevent disease. 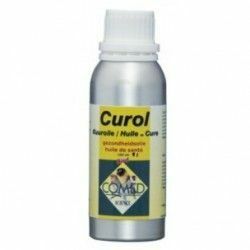 Curol Eat is a treatment recommended for the preparation of the breeding and in the time of exhibitions by the stress. Calfostonic is a complete blend of mineral salts, vitamins water and fat soluble, trace elements, amino acids, factors nonspecific of growth, appetite stimulants, tonics and principles aromatic. Avicur Bird is a cure for the health-based plant extracts that maintains the equilibrium of the immune system of the birds. It is essential for the shape of the birds at the beginning of the championships and in the case of a drop of form, or after an illness. 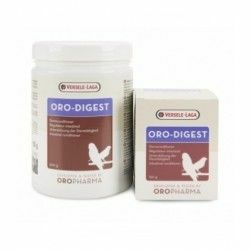 Gold-Digest is a prebiotic whose role is to act as a source of nutrition for the benign bacteria and prevents pathogenic bacteria cling to the intestines. This product also improves the consistency of the droppings of birds that feed on fruit and improves the hygiene of the nests. 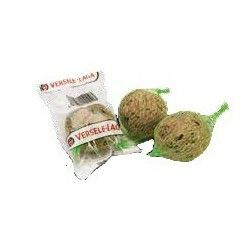 Versele-Laga Ball of grease is a high quality product, manufactured with fat bovine refined, mixed with seeds and chunks of peanut. FOOD SUPPLEMENT, ENRICHED WITH COD LIVER OIL POWDER Supplementary feeding for the birds-cage and aviaros. Transivit promotes and maintains optimal health of all the birds of cage. Contains oil powder, cod liver, natural tonic in traditional that it helps to fight against rickets and growth problems. Indications: vitamin Deficiency. Biotin Avianvet strengthens nails, promotes the growth of feathers and promotes the change of plumage in canaries of posture heavy and curly.This nutritional supplement helps the development of a greater volume of feathers and helps a good growth without breakage of nails. Especially indicated for AGIS, Curly paris, Padovanos and Merhinger.